Panhard, welcome to FL and a sophisticated looking 400 in excellent color too. Could not decipher all of your French, but can pick up here and there. Vous etes le bienvenu a FerrariLife, mon cher confrere! Panhard- Welcome to Ferrar Life. Beautiful 400. Hope you speak better English than I speak French, which is pathetically/not at all. Only 412 GT delivered new to Australia. Last edited by wrxmike; 12-20-2014 at 04:32 AM. 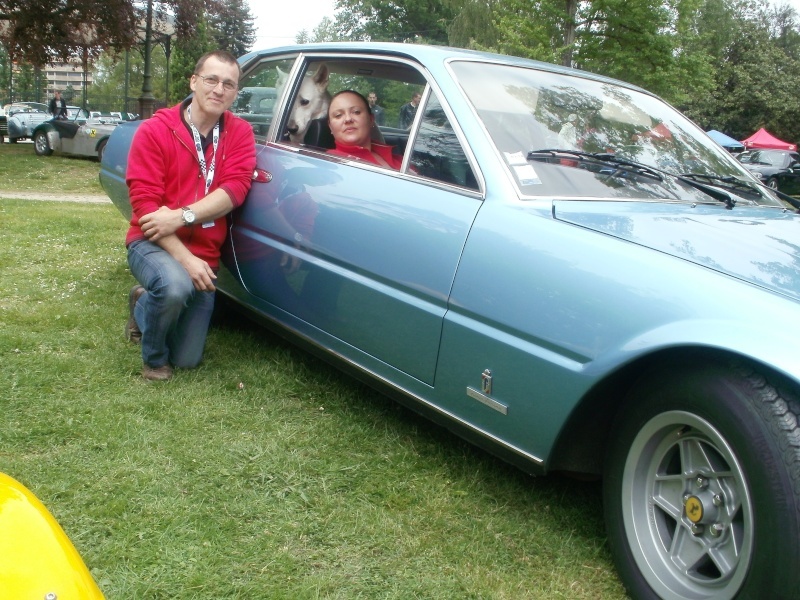 Pictures taken with the European Ferrari Club 400 in September 2014 in Chantilly (France). Very nice. Always glad to see new pictures of these lovely cars. Wecome to Ferrari Life. Very pretty 412. They (365 GT4-412) always surprise me by being much smaller than they appear in photos. 1987 Ferrari 412GT ser #74099, blu chiaro/beige 5-speed manual; I bought this car in 2007 just before selling my prototipi 365GTC as I did not want to be Ferrari-less. A wonderful car well-known in Ferrari Club's New England Region, it has a Cavallino Classic Best 2+2, several FCA National Concours Platinum Awards and an FCA National Coppa GT Award. I have too many cars and last summer the car was sold, purchase agreement signed, for $60K; buyer had some business issues and backed out and I've had second and third thoughts about selling such a splendid car, last model with the Colombo 60 degree V-12. Here are a few images leaving the Saratoga Automobile Museum on a back roads rally/tour to a Lake George Club luncheon. I bid a fond au revoir to the list as my 412GT is going to a new custodian, a worthy tifoso who has several twelves including a GTC, a 288GTO and an F40. Seth- Congrats on the sale. Just bought one on Ebay, some of you saw it for sale.